Prior to the eighteenth century, education was only available for the “well-to-do” or gentry. There was no provision for the ordinary folk or peasants – “y gwerin bobl”. The first record on any schools in the area were the “circulating schools” set up in the village by the parish of Aberdare between 1739 and 1773. With the setting up of the ironworks, the population of the village soon grew and the workers were concerned about the lack of education provided for their children. When the ironworks came into the hands of the Crawshay family in 1819 this changed. In 1829 Francis Crawshay set up two works schools in the village – The Miners and Colliers School and the Firemen’s or Furnace School. 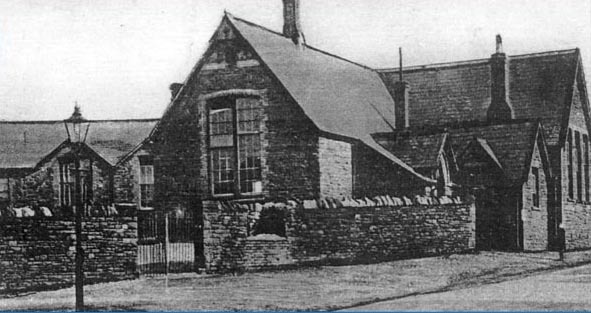 Also during this period there were a number of private schools in Hirwaun. In a Government Report published in 1846, the two works schools received adverse comments. Within a few days of the report appearing, the community of Hirwaun moved quickly to set in motion plans to get a British School in the village. The school was opened in July 1849. With the growing population of the village, the school was no longer big enough and in 1875 plans were set for its enlargement. Three departments were then created – an Infants’ School, a Girls’ School and a Boys’ School. Each school with its own Headmaster/Headmistress. The official opening was carried out in May 1876. Pupil numbers continued to grow and with possible expansion on the Brecon Road site, the Boys’ School, in 1922, to a site near Cynon Terrace. The accomodation provided were adapted ex-Army huts from Salisbury Plain. 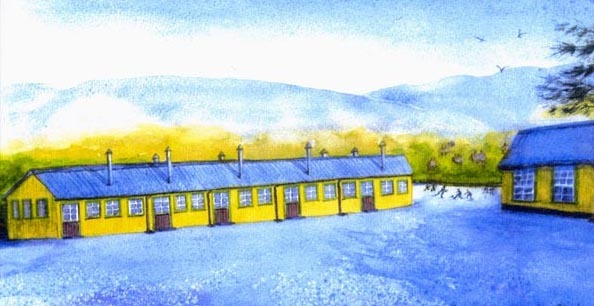 The Boys’ School was known by everyone as “The Tin Shanty School”. The Girls’ School and the Infants’ School remained on the site in Brecon Road. There had been talk for a very long time that the Boys’ School would be replaced and after 47 years this materialised for in 1969 a new school was built. 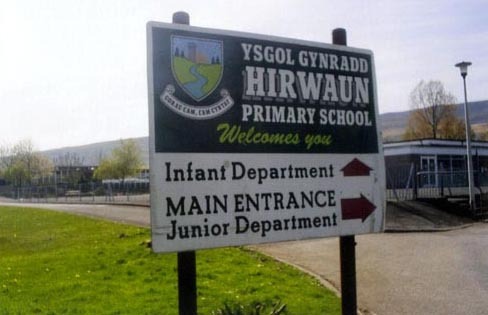 The Boys’ School and the Girls’ School amalgamated to form Hirwaun Junior School and it opened in September 1969. 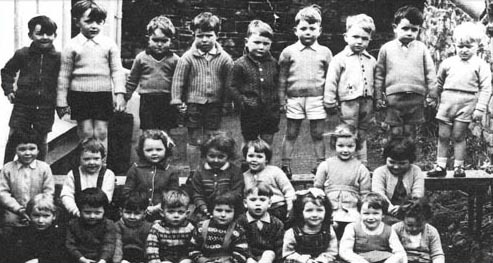 A new Infants’ School was built on land adjacent to the Junior School and was officially opened in May 1977. The original building in Brecon Road was then refurbished. The Nursery Unit at the Infants School moved there in September 1978 to form Hirwaun Nursery School. Falling pupil numbers saw the amalgamation of the Junior School and Infants’ School in September 1988. The Nursery School continued in Brecon Road until December 2005 and in January 2006 it was accomodated in the infants block of the Junior and Infants School to form the present school – Hirwaun Primary School.